A Gary Brooker tattoo ... good idea ! My name is Luke Horsley from Birmingham (England) I am currently in the process of having a full arm tattoo piece with all my musical heroes etc. I know this may seem strange but I would really like Mr Brooker to know or see the portrait tattoo I have on my arm. I am 24 years old this year so I definitely wasn't around during Procol Harum's heyday but as with all great musicians, they will live on for many more generations, especially in my family. I don't expect a reply of any sort or claim to be the artist who did such a great job on the portrait: I would just like to know that maybe one day Gary Brooker sees this tattoo of himself on someone so much younger than expected. 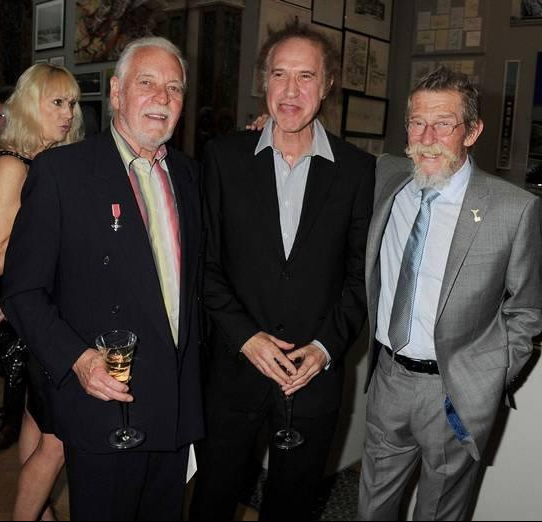 Please see picture of his portrait on my lower arm alongside Ray Davies from the Kinks ... and hopefully pass it on to the main man himself somehow :). I currently have, above the image you have seen, a Polaroid shot of a young Ian Brown (the first music I got into) and the very top piece is a portrait of Marc Bolan from T. Rex. 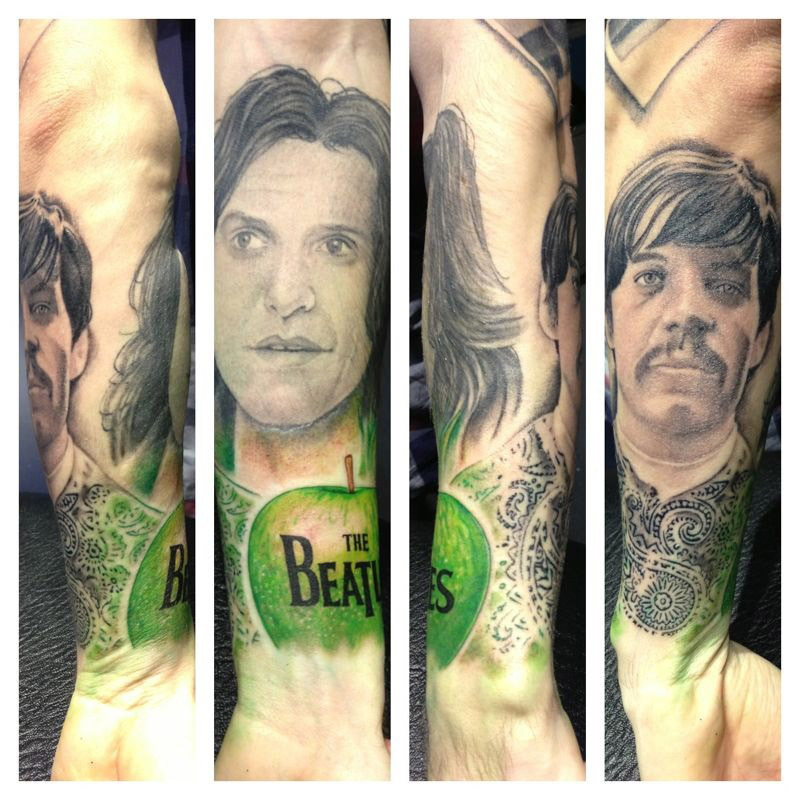 The tattoo artist working on my arm has told me that out of all the portraits he has done for me so far Gary Brooker's was the hardest to prepare for, as early images are pretty rare and the pictures from the music videos are not sharp enough due to the technology back then. So the portrait is a still from A Whiter Shade of Pale and parts taken from later pictures to get any detail missing from the original photo. Myself and the artist are really pleased with the outcome so far and I will keep you updated when I have added to the piece.